May 1. 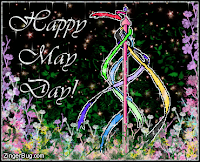 We celebrate May Day. 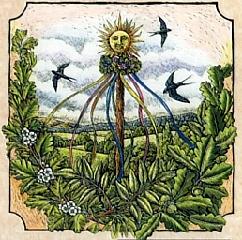 We celebrate the pagan holiday of Beltane. 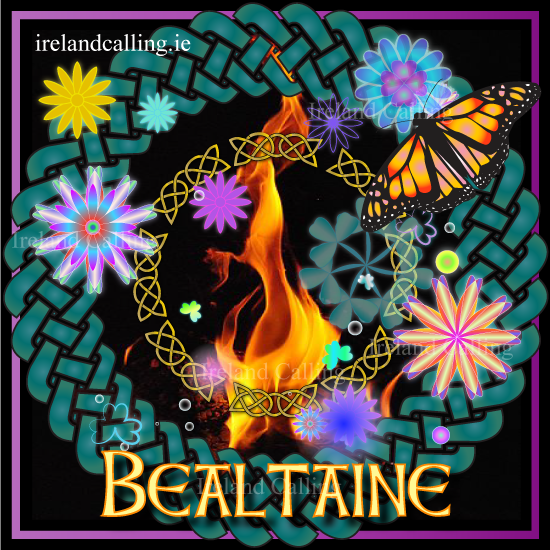 Beltane is the anglicised name for the Gaelic May Day festival, midway between the vernal equinox and the summer solstice. Historically, Beltane was widely observed throughout Ireland, Scotland and the Isle of Man. It is one of the four Gaelic seasonal festivals — along with Lughnasadh (or Lammas) at mid-summer, around the first of August; Samhain at mid-autumn, around the first of November; and Imbolc, at mid-winter, around the first of February. For the Irish, for centuries, this midpoint of spring was time for the cattle to be driven out to the summer pastures. Rituals were performed to protect the cattle, crops and people, and to encourage growth. Special bonfires were made. The people and their cattle walked around the bonfire or between two bonfires to receive the protection of the Beltane flames, smoke, and ash. Household fires were doused and then re-lit from the Beltane bonfire. Doors, windows, byres and the cattle themselves were decorated with May flowers. The morning dew of Beltane was held to bring beauty and maintain youthfulness. Fairies or nature spirits, according to tradition, are especially active at Beltane – as they are six months later at Samhain. It is a "spring time festival of optimism." The power of the sun is growing. The days are warmer and the light is longer. We know the sun’s power will wane again, and cold days and long nights will return, but now is the time of ascendency – of burgeoning, blooming, fertility, of the resurrection of new life. 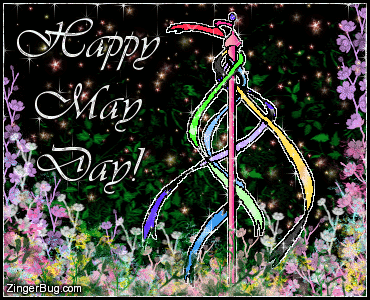 To the ancient festival of Beltane, we bring our distinctive Unitarian celebration of the flowers. 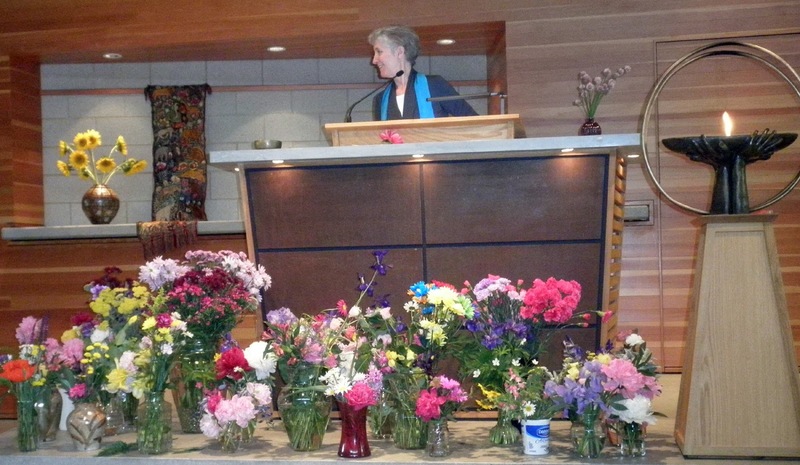 Called variously Flower communion, Flower celebration, or Flower festival, it is a joyous springtime ritual at many Unitarian Universalist congregations. Let us, on this occasion, re-tell the tale of the origin of this Unitarian celebration. Two Czechs, Norbert Capek and Maja, met in New York City while Norbert was studying for his Ph.D. At Maja’s uring Norbert left the Baptist ministry and turned to Unitarianism. Now married, the Capeks returned to Czechoslovakia in 1921 and established the dynamic liberal church in Prague. In the spring of 1923, Norbert introduced this special flower service to his church. “For some time he had felt the need for some symbolic ritual that would bind people more closely together. The format had to be one that would not alienate any who had forsaken other religious traditions. The traditional Christian communion service with bread and wine was unacceptable to the members of his congregation because of their strong reaction against the Catholic faith. It was Maja, who had herself been ordained to Unitarian ministry in 1926, who brought the flower communion to the United States. Visiting in Cambridge, Massachusetts in 1940, she introduced the flower celebration to the Cambridge Unitarian congregation. The outbreak of World War II prevented Maja’s planned return to Prague. Not until sometime after the war was over did she learn of Norbert Capek's death in a Nazi concentration camp. As each person has placed their own flower in one of our vases, we signify that by our own free will we join with one another. The vases containing all the flowers are symbols of being united, held together. Later, people come to the vase and each takes a flower other than the one that they had brought. As no two flowers are alike, so no two people are alike, yet each has a contribution to make. Together the different flowers form a beautiful bouquet. Our common bouquet would not be the same without the unique addition of each individual flower, and thus it is with our congregation. It would not be the same without each and every one of us. This service is a statement of our community. By exchanging flowers, we show our willingness to walk together in our Search for truth. We notice the ways we are different, and do not allow our differences to divide us. Each person takes home a flower brought by someone else - thus symbolizing our shared celebration in community. This communion of sharing represents the essence of who we are as a free people of a free religion.